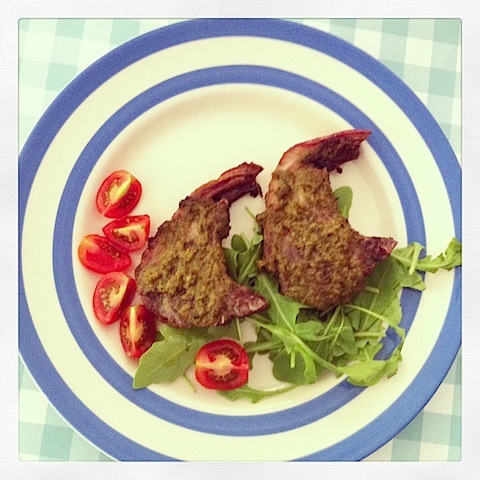 Lamb chops with coriander pesto – a super speedy supper. 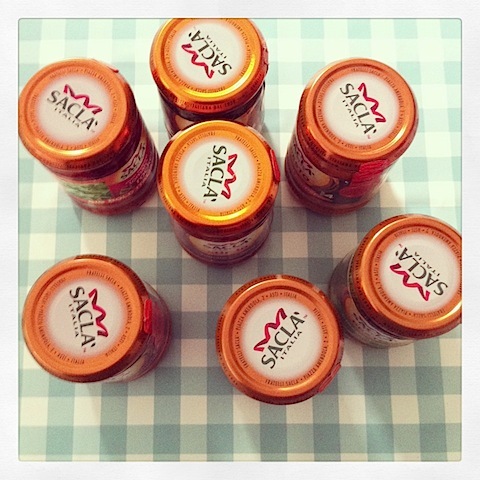 I have as you see below had something of a Sacla mountain lately, I received 8 jars and have been gradually incorporating them to different meal ideas at home. The lamb chops had been forgotten and unloved in the freezer but after defrosting I smeared them with Sacla’s coriander flavour pesto and popped them in the oven for 25 minutes at 190c. They don’t say “slam in the lamb” for nothing! With thanks to Sacla for pesto and sauce samples.